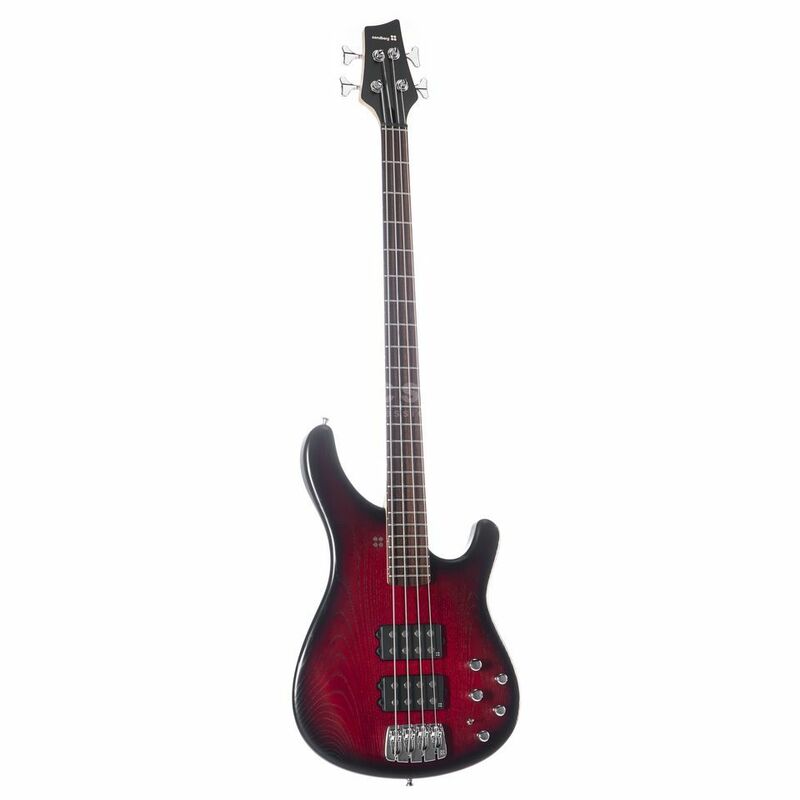 The Sandberg Basic Ken Taylor 4 RBSTS Redburst Satin is a high quality signature bass guitar based on the recommendations of influential bassist Ken Taylor. Since joining the Peter Maffay Band in 1993, Ken Taylor has been loyally playing basses from Braunschweig-based company Sandberg who tailor-made his signature electric bass, the Sandberg Basic Ken Taylor 4 RW Redburst Satin. This bass was designed to be a workhorse reduced to just the essentials; four-strings, classic wood combination, two active humbuckers and electronics for versatility and outstanding playability. For the construction of his signature bass, Ken Taylor specified a classic wood be used. Accordingly the body of the Sandberg Basic Ken Taylor is made of Ash, the six-fold bolted neck is made of hard maple and topped off with a rosewood fingerboard. This combination was chosen for its balanced sound, powerful attack and robust sustain, making a solid tone bedrock for any style. Plus a "C" profile neck that is so comfortable the only problem it’ll cause will be making the guitar difficult to put down! 2x powerful Sandberg active humbuckers provide punchy sound, smooth articulation and fat low end response, as well as a split coil function for instant single coil sounds and active 3-band tone control. Ken Taylor was born in London in 1952, a first generation child of windrush immigrants from Jamaica. He came into contact with music very early in life and first played in a Caribbean Calypso band on rhythm guitar as a young man before he discovered his love of bass guitar. Thanks to the likes of Jimi Hendrix he became a big fan of contemporary rock music in London and through tireless practice developed his virtuoso style which he became known for and which established him as a stalwart in the international studio scene. Most notably he has played bass for John Mayall, Bruce Springsteen, Brian May, The Scorpions and the Rödelheim Hartreim Project. In 1993 Taylor joined the Peter Maffay Band and quickly became a permanent member on tours and recordings.